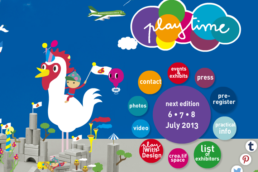 Lots of exciting things going on for Playtime, the most creative and dynamic children’s trade shows in Paris, New York and Tokyo : PlayWithDesign is back in Paris – Playologie, a virtual trade show and fantastic B2B tool is in preparation (launching in June 2014) – Playtime Tokyo celebrates its 10th edition. Looking for the established brands, or for the new comers? All the serious independent creative labels are at Playtime, almost no exception! 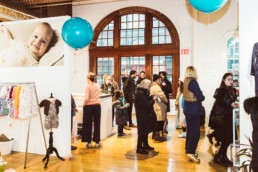 The list of exhibitors is extremely long, so to name just a fraction of my list of favourite brands, you will find american outfitters, anaïs & I, april showers, atsuyo et akiko, amyara, bellerose, bob & blossom, bobo choses, caramelbaby&child, dandy star, , hucklebones, imps&elfs, le petit lucas du tertre, little creative factory, louis louise, naan max&lola, miller, motoreta, mini rodini, munsterkids, no added sugar, noé & zoë berlin, noro, pèpè, simple kids, tocoto vintage, Tuchinda…can’t list them all, too many! Magazines will be on the spot, all with a special event, an exhibit or products to offer (DOOLITTLE with Tattoofab, KID’S WEAR with a photo exhibit, MILK MAGAZINE with its famous fashion awards, VOGUE BAMBINI with its live photo studio, MARIE-CLAIRE ENFANTS with a degustation of yummy things from Denmark). Trends will also be on display as well as artists installations. In the press room, photographer Michelle Marshall will feature “PORTRAITS OPALESCENTS”, a serie within the them “Ode to light in its many manifestations and shades”, inspired by the arctic regions, the polar cold, explorers’ expeditions, inuit culture and clothing. For those who won’t be granted access, you can catch up with the images here. We loved the first edition of Play With Design, so it’s wonderful news that there will be a second edition. The show returns to explore the theme of “King of the Jungle” and the pre-established material to use is cork (the industrial partner is a dynamic company called Agglolux, based in Soustons, Landes). Ten designers have created small objects and pieces of furniture made of cork, following the idea to invert size and scale in order to transport children to a universe where they could feel like a King. Key design names such as Christian Ghion, Didier Faustino, Marine Peyre, Stéphanie Marin, Binome, At-Once have created unique objects and pieces of furniture that the public will discover in L’Espace Evenements of the Parc Floral in Paris (adjacent to the Playtime). There will be workshops for children aged 6 and older. Launched in June 2014, playologie is the fruit of a long reflexion by the founders of Playtime, Sebastien de Hutten and Marie Czapska. More than a simple virtual trade show, it is a rich working platform for industry players, helping them in their activity through different tools. It will include a performant studio photo, that will operate during the show, providing brands with professional products shots of their collections in very quick delays. More info to come soon…stay tuned! Launched in 2009, the Japanese edition of Playtime is still captivating the Asian continent. In a constant progression since its launch, Playtime Tokyo has established itself as the biggest Japanese trade fair bringing together, under one roof, the best collections for children’s fashion, accessories, layette, decor and maternity. 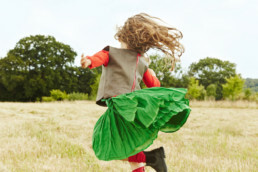 Brands such as imps & elfs, ketiketa, noch mini, suoak, talc, aden&anais, bakker made with love, bobo choses, bonnie baby, christina rohde, esp no.1, hucklebones, lucky fish, madame mo, munster kids, ovitar by gudrun gudrun, pink chicken, smiling planet, tiphaine verdier mangan, yporqué will be part of the show. Saturday and Sunday : 9:30am to 6:30pm – Monday 9:30am to 5pm.